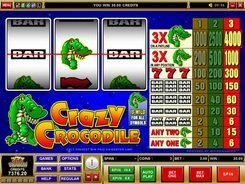 Online Slots Slots Games Directory Microgaming Spin Crazy! 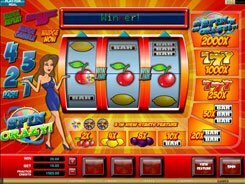 This classic 3-reel slot offers a host of special features like Nudge, Hold, Shifta, Let ‘em Spin, and a bonus game played in a new window. 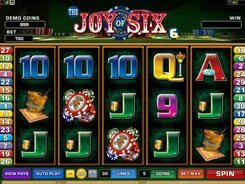 The slot is played over a single payline that accepts a single coin with its value adjustable from $0.1 to $10. 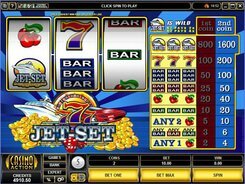 The symbols are cherries, lemons, plums, bars, sevens and the slot’s logo. The best paying icon is the Spin Crazy! logo that awards 2000 coins if three of them occur on the win line. Most features are triggered randomly during a normal game helping you land a winning combo. For example, Holds enable you to fix any reel and respin the others in an attempt to get a winning combo. Some symbols appear regularly on the reels with small round icons attached to them. If you hit three of these in any position, you unlock the Crazy Wheel Bonus. If it happens, on the second screen you will be invited to spin the Wheel of Fortune that awards a plethora of extra features (Reel Blaster, Turbo Time, Cherry Surprise, etc. 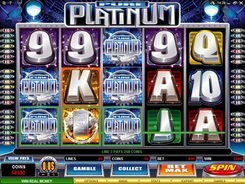 ), free spins and mystery cash prizes that add entertainment and big wins. PLAY FOR REAL MONEY! 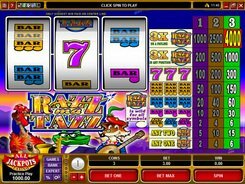 slots similar to Spin Crazy!